For all of my life, I have been fascinated by South America. As a teenager, I loved to read about adventurers who travelled deep into the Amazon jungle or high amid the Andes. 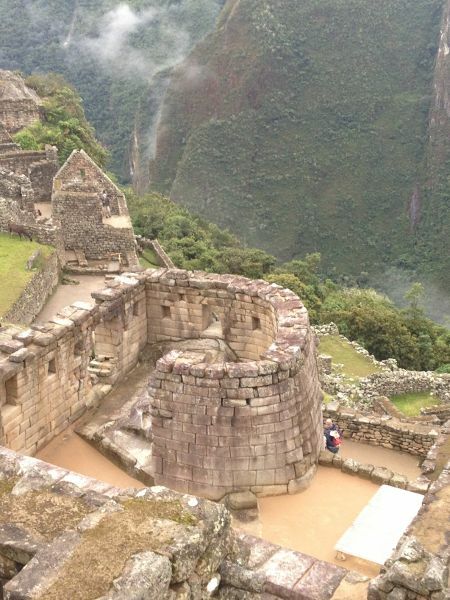 When I first saw pictures of the Inca ruins at Machu Picchu, it instantly moved to the top of my wishlist of places to visit. At that time, travel to the area was far less common than today. Machu Picchu had only 120,000 visitors in 1982. That number has risen dramatically in the years since, with over 1 million visitors seeing the site in 2012. The Peruvian government has now instituted a daily cap of 2500 visitors per day to protect the site from its own popularity. I first seriously considered a South American trip while in college. My plans were ambitious, involving an overland trip through Central America to get there. I traded correspondence with Don Montague, the founder of the South American Explorers Club, and learned all about the carnet de passage for vehicles and the difficulties involved in traversing the Darien Gap in Panama. Planning the trip became a bit of an obsession, but in the end the journey remained only an armchair adventure. After school, a new business took up all my energy, and it was difficult to get away for the massive journey I had envisioned. As the years passed, the trip stayed on my radar, but I just never made it happen, choosing other destinations instead. But I never forgot. After nearly 30 years of putting it off, I finally decided that 2013 was the year. Making the trip a months-long epic journey overland was no longer appealing or practical, so I decided on a 3-week summer trip to just Ecuador and Peru, accompanied by my wife and 15-year-old son Matthew. The cornerstones of the trip would be the two biggest attractions in South America, the Galapagos Islands, and Machu Picchu. I like to book my own travel arrangements. Rather than taking a packaged tour, I prefer to find my own lodgings and arrange my own trains, planes, and automobiles. Frankly, I would have liked to embark on this trip without a rigid schedule in place but that was impractical with a trip of only three weeks. Since we were traveling as a group of three, we really needed reservations for the critical components of the journey. Triple occupancy cabins aboard a Galapagos yacht are far fewer in number than the common double occupancy cabins. We needed to make sure we had that part of the trip pinned down, so I ended up laying out our itinerary in complete detail. In the end, I reserved 8 hotel stays, 1 train trip, 1 yacht stay, 1 private van, and 7 flights with a total of 10 segments on 4 different airlines. Departure was at the end of May in 2013. So, in late May, away we went. We departed Gulfport on Delta Airlines with a stop in Atlanta on the way to Quito, Ecuador. Quito is high in the Andes mountains in central Ecuador, and the city’s Mariscal Sucre Airport is a sparkling new facility which opened just months before our trip. The airport lies at an elevation of 7800 feet, compared to the old Quito airport’s elevation of 9200 feet above sea level. Even with the substantially lower location, the new Quito airport still has its share of weather issues because of the elevation. Our five hour flight from Atlanta to Quito was scheduled to land at 10 pm. Despite some bumpy air and crosswinds during the descent we were right on schedule to land in Quito, or so it seemed. Then, as the flight was almost on the ground, we were surprised to hear the engines revving back up to full speed. Just a few feet above the runway, our pilot had aborted the landing and was headed back up. After we regained altitude, the pilot announced that the fog was too thick to make a safe landing, and we would circle around for another attempt. After a few minutes circling, we got a second announcement from the cockpit. It seems that if a second landing attempt were unsuccessful, we would not have enough fuel left to divert to an alternate airport. So, we weren’t going to make a second landing attempt. Instead, we would divert immediately to Ecuador’s other major airport in the port city of Guayaquil. There we would take on more fuel, and wait for the weather to improve. So, off we went on a 45 minute flight to the Ecuadorian coast. After an uneventful landing near sea level, we stayed aboard the plane while they refueled. That process was delayed a bit because Delta Airlines does not normally fly into the Guayaquil airport. Special arrangements had to be made to service our plane, and I’m sure the fuel was obtained at a premium price! Occasional updates from the cockpit did not sound promising, as the visibility in Quito was reported as variable, but generally bad. So we sat for a couple of hours. Finally, the crew decided that it was pointless to wait longer, because even if we did get a report of good weather in Quito, it would likely change before we could get there anyway. So, off we went to try again. We had enough fuel for two tries at a landing. This time around, conditions seemed just as bad during the descent. Looking out the window, it was impossible to see much. The fog was thick until just above the runway. But, we landed. Oh boy, did we ever land. You might say we slammed into the runway. It was the hardest landing I’ve ever experienced. But we were on the ground in one piece, though I cannot imagine how a plane’s landing gear can handle that kind of stress without buckling. With a great deal of relief on our faces, we have finally arrived in Ecuador. As always, it was something of a shock to arrive in a completely foreign culture. And by this time, it’s almost 3 am. After navigating the luggage process and getting a taxi, we load up for a 45 minute ride into the city. Our taxi driver is our first real introduction to the country. He is exceptionally friendly and helpful, but not surprisingly, he speaks not a word of English. This taxi ride gives me my first in-depth immersion experience in Spanish, a language I have been studying ever since my obsessive South American trip planning began all those years ago. My efforts served me well, and I had my longest ever Spanish conversation along the way, translating for Jan and Matthew. We finally arrive at the hotel and collapse into bed after a day that was much longer than expected. It seems that an ill-fated beginning is standard for Smith family adventures. On our last three-week trip, we also had a difficult start. See Our Mexican Odyssey: From Mississippi to Guanajuato. But hey, that’s part of the fun. I wouldn’t have it any other way. Next: Part 2 – Quito, Ecuador: Shotguns and Happy Meals.